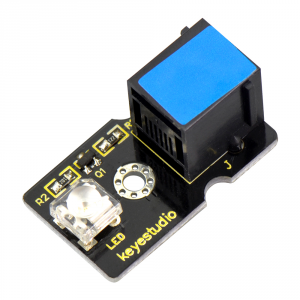 This is a special LED module. When connecting to ARDUINO, after programming, it can emit beautiful blue light. Of course, you can also control it by PWM. It will be like fireflies at night. 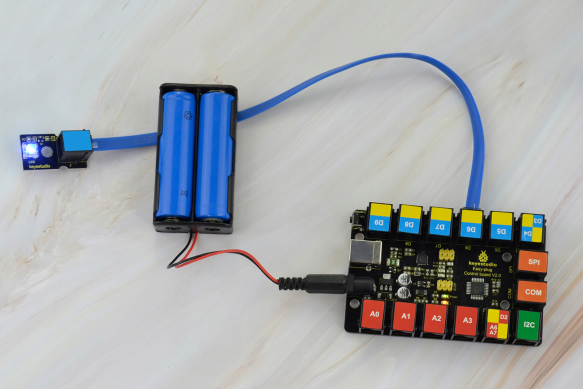 Note: this module should be used together with EASY plug control board.You can also choose other LED modules to emit different light color like blue, red, green and white. The LED will flash on for two seconds, then off for two seconds. 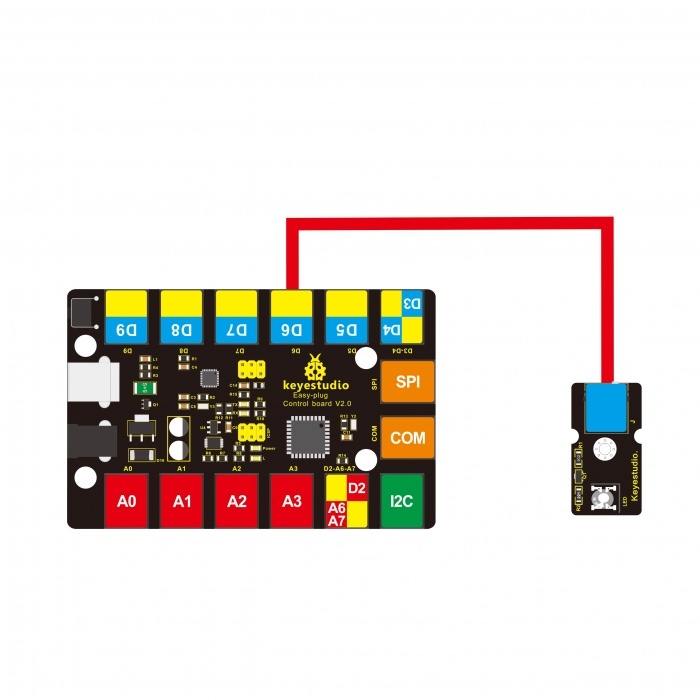 If it doesn’t, make sure you have assembled the circuit correctly and verified and uploaded the code to your board.